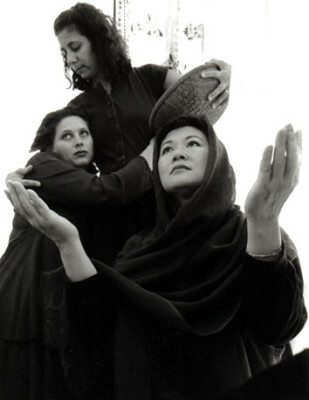 A collage play with movement, music and sound, Volcano Embrace was performed by Dmae Roberts, Elaine Low, Mary Jo AbiNader, Wendy Graybill, and Sharon McAllister under the direction and choreography of Carolyn Holzman at Dreams Well Studio, November, 1999. Hawaiian music was by Sam Kama, original music by Stephen Hoyt, lighting design by Sharon McAllister and set design by Jeri Swatosh. Theatre Diaspora is a project that created the first Asian American/Pacific Islander theatre in Portland by producing an on-going series of staged readings with movement. 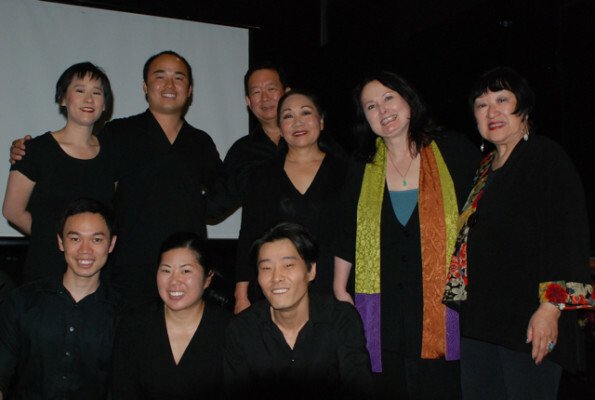 The project is committed to celebrating and creatively advocating for the AAPI experience through stage work. 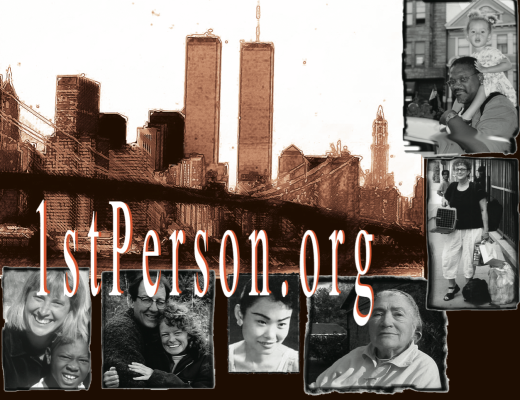 These stories are an under-represented and misunderstood part of the American historical and cultural narrative.